The Kings Arms Turns Five! 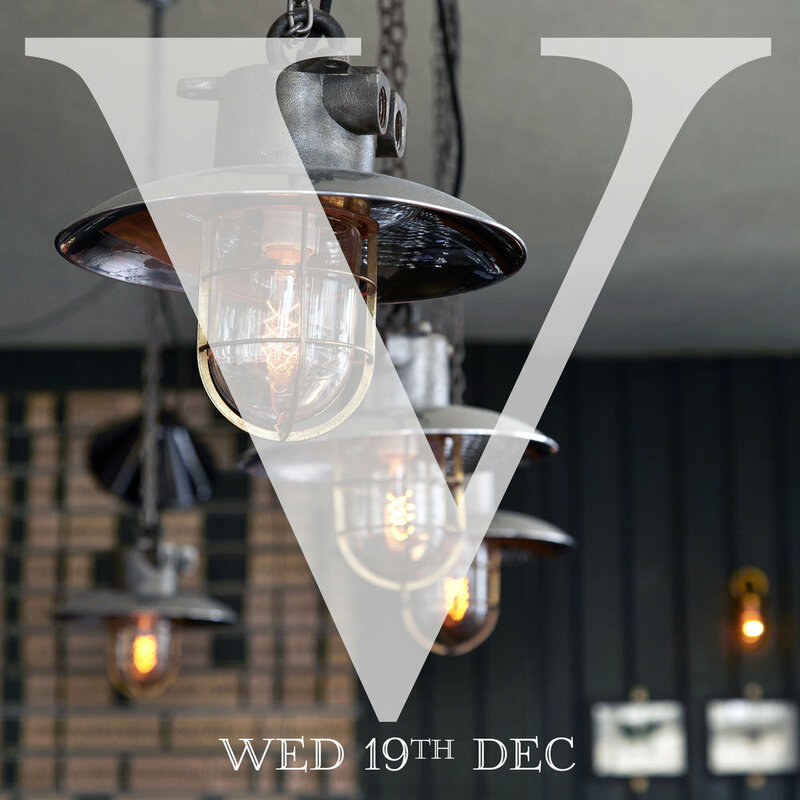 To celebrate our 5th Birthday we will be throwing a little celebration on Wednesday 19th December. We will have an extra special tap list alongside a few treats we're pulling out of our cellar and pouring by the glass. We hope you've had as good a time over the last 5 years as we have and here's to many more years to come! Thank you to everyone who have supported us over the last 5 years, locals, brewers, distillers, tourists, travellers & beer geeks alike. On Wednesday the 14th November we are honoured to be hosting team members from Omnipollo® at the Kings Arms for an evening of beer, art and music. OMNIPOLLO® is a creative camp that expresses itself through beer. Founded by brewer Henok Fentie and artist Karl Grandin in 2011 with a shared vision of changing the perception of beer — forever. Omnipollo believes that beer brings people together and through a synthesis of the arts, they want to engage and spot light the experience it can be. Double Peach Candy Popcorn Sour 3,5% SOFT SERVE! Bright and shiny sour ale, with addition of maize for extra smooth flavor and mouthfeel, and a doubled infusion of Swedish peach candies. A lavishly hopped ale of judicious ABV, fresh citrus and herbaceous flavours. A crisp mix of floral hop notes, with grapefruit, orange zest, peach and citron flavours giving on to a pleasingly bitter, dry finish. Omnipollo x Tired Hands Mexican Vanilla Pina Colada Milkshake IPA 7,2% SOFT SERVE! IPA brewed with oats, wheat and lactose sugar, fermented atop strawberries and vanilla beans. Sisyfos is a Childs idea of cooking manifest as a beer. Brewed with ice cream cheesecake culture, corn, wheat, cheese , yellow raisin jam, coconut, croissants and vanilla. Imperial Stout with Maple Syrup and Coconut. A peanut butter biscuit stout with no biscuits, butter or nuts. Taste, enjoy, and don’t be prejudiced. Brewed with aromas. A dark, rich, full bodied imperial stout brewed with marshmallow, vanilla bean, cocoa nibs, hazelnut coffee and ancho chillis. A barrel-aged imperial stout that smells like a dream and drinks like a dessert in a glass. Overflowing with rich caramel and pecan aromas accompanied by a smooth vanilla custard character present on the palate, intensified by a warm boozy backbone. 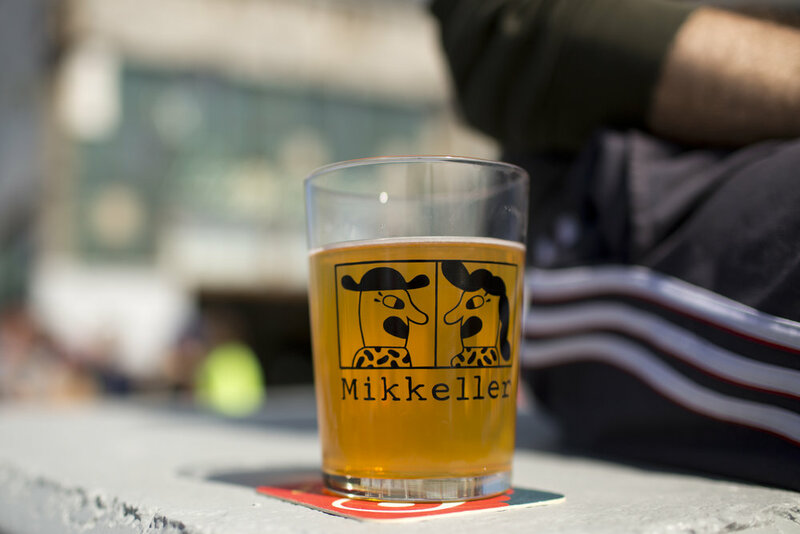 The Kings Arms are honoured to be hosting the first UK event for Mikkeller's Baghaven project. In their own words, "Baghaven represents the pinnacle of art and science, old-world and new world, primitive and contemporary." Their ales are innovative and unique, whilst using age old traditions to set a new standard and bring an iconic new line of Danish heritage to the forefront of wild brewing. We are very excited to be welcoming head-brewer Ehren Schmidt, alongside a tap takeover of six of his finest brews on Friday 12th October from 6pm. This will be the first time Baghaven is presented in the UK, so make sure you get down early to nab your seat at the bar! Keep reading to check out more on the 6 beers that will be available! Danish Wild Ale Fermented and Aged in a French Oak Foeder and then aged on yellow passionfruit, well balanced tartness with warming passionfruit throughout. The Kings Arms are excited to present two very special fringe events during the London Craft Beer Festival week. We are extremely thrilled to be welcoming back Swedish brewers DUGGES to London, renowned for huge flavours and incredible stouts we will have 10 lines for their tap takeover on Thursday 2nd August. We've also managed to get our hands on their Passionfruit Cheesecake collab with Omnipollo - so get down early! Plus we will be throwing a closing party for LCBF on Sunday 5th August, with Baltimore based artisanal mavericks STILLWATER - voted 2nd Best Brewery In The World by Ratebeer in their first year, and having stayed in the global Top 100 ever since, their unique and impressive approach to forging an artistic collective within all aspects of brewing still places them at the forefront of the craft beer world, seven years on from their inception. On Wednesday 18th July, The King's Arms is excited to be pouring American Solera, for the first ever time in the UK! American Solera are one of the most exciting breweries in America at the moment, focusing on barrel ageing, wild & sour ale. Voted 2nd Best Brewery in the World & Best New Brewery in U.S. by RateBeer in 2016, they've since been going from strength to strength. We are thrilled that they stumbled through our doors and asked us to play host to their first ever UK based event. We have been sent some truly incredible beers by the Tulsa based master himself Chase Healey - so make sure July 18th is firmly in your diary. Founded by Chase Healey in 2016 after four years as Head Brewer at legends (and now neighbours) Prairie Ales, it was started as a way to be more experimental in using barrels & oak foeders as well as native & wild yeast strains. Since opening they've released wave after wave of fantastic beers from wine foeder saisons to bourbon barrel aged imperial stouts & sour blond ales aged with all manner of fruits. On the night we'll be pouring 6 of their beers on tap as well as bottles in the fridges, this is definitely going to be an evening to remember. A "Kvass" style ale, a traditional Baltic beer made from rye bread. Rich rye & bready malt notes shot through with wild funk tartness & citrus notes. Light dry hopped Grisette Saison. Light hazy & golden with Brett & tropical fruit notes. An oak aged, dry hopped sour ale. Pours hazy golden with aromas of Brett, tropical fruits and light wood. Foeder Cerise is a sour golden ale brewed with a mix of brettanomyces and several different souring cultures. It's then aged for six months on top of Montmorency Cherries. The flavours produced are sour cherry and cinnamon with a touch of Brett funk. This batch comes from their 30bbl Italian oak Foeders. Ranked in the Top 50 Sour/Wild Ales in the world, this is one not to be missed. Oak aged Sour Ale refermented with Picpoul Grapes. Soft fruit & Brett notes & perfect balance of sweetness & acidity. Oak aged sour brown ale. Aged in Vin Santo wine barrels, the classic Oud Bruin flavours are complemented with the dark cherry & grape from the barrels. An Amber farmhouse ale aged in Pinot Noir barrels. Oak aged sour ale refermented with Zinfandel grapes. Phil Markowski started brewing at the New England Brewing Company in 1989 before moving to set up Two Roads with friends in 2012 which has risen to become on of the leading innovative breweries in America. He has a deep passion for farmhouse ales and literally wrote the book on them with his excellent 'Farmhouse Ales, Culture & Craftsmanship in the Belgian Tradition". Mark Tranter founded Burning Sky in 2014 after spending time as Head Brewer of cask legends Dark Star to set up a brewery focusing on farmhouse ales, the barrel ageing process & blending. Burning Sky are now also leading the way in the UK in wild & spontaneous fermentation with the recent installation of coolship fermenters into the brewery. The pick of their Saison à la Provision from Foudre no. 1 and from a number of Chardonnay barriques, then blended with a large portion of Lambic, imported from Belgium that has been ageing at Burning Sky. Saison Anniversaire is a celebration of everything Burning Sky loves about saisons. Lightly spiced in the boil, this special edition beer was fermented and aged entirely in French Chardonnay barriques using their house saison and a blend of wild yeast strains. A light and easy drinking mixed fermentation saison aged in wine barrels. This is an incredibly complex beer for its low ABV - stunning notes of lemon sherbet, fresh cut grass and funky undertones. On Thursday 1st March, The King's Arms is honoured to welcome Menno Olivier, founder & brewmaster of De Molen brewery. Since the founding of De Molen brewery in the historic Arkduif mill back in 2004, these Dutch masters have been consistently ranked amongst the best breweries in the world, and recognised as the primary drivers of craft beer in the Netherlands. Despite now being an established name on the craft beer scene, they remain dedicated to pushing boundaries, innovation, the spirit of collaboration & knowledge sharing with like minded breweries. We'll be hosting Menno Olivier for an informal meet the brewer & pouring some of his finest beers. Light IPA/Bitter using European hops and late hopped with US Cascade and Amarillo. (Hop & Love) was formally known as Pale Ale Citra and one of de Molen's most popular beers. Very refreshing and very floral with lots of citrus. Sweet imperial stout with lots of chocolate and coffee notes and hints of plums. Strong yet not overwhelming, one of De Molens finest. A hoppy yet balanced IPA. Chinook, Cascade, Simcoe and Amarillo all shine with tropical fruit and citrus flavours. A final dryhopping with Cascade finishes off the beer in style. Rich and full imperial stout brewed with coffee. Sweet aroma with caramel malts, chocolate and coffee. De Molens legendary Barley Wine aged in Rioja barrels with Brettanomyces yeast. A take on the classic American Double IPA. Sweet malt backbone is the basis for a huge hit of Amarillo hops, imparting pronounced bitterness with citrus & light pine aromas. "It’s a moderate strength smooth stout base, full of brown, chocolate and imported Belgian Special B malt and we added some authentic dark candy syrup to the kettle for an extra Belgian vibe. It fermented out with our house Belgian yeast strain but we reigned in the temperature to keep the yeast esters a little more subdued than usual. We still get all the lovely spice and phenols from the yeast, but it allows the roasted malts to join the party. For one final twist, we hooked up with our friend Phil Landers of Land Chocolate, an artisan small batch chocolate maker in Bethnal Green. For a while we had been talking to him about using some of the shells from the cocoa bean, which are otherwise discarded as part of the chocolate production process. This seemed like a great opportunity. They retain an awesome rich chocolate flavour and after a few tasting trials we went for a load of Nicaraguan and Honduran shells fresh from roasting in the conditioning tank to provide extra chocolate flavour to the finished beer. " A fruity & hop forward red ale with a dark red hue and blend of old and new world hops. Pressure Drops straight up, punchy West Coast IPA. Sweeter, maltier & unashamedly bitter, this is a more traditional take on American IPAs than the current trend for hazy juice bombs. A classic take on Londons own beer. Rich mouthfeel with coffee & roasted notes.